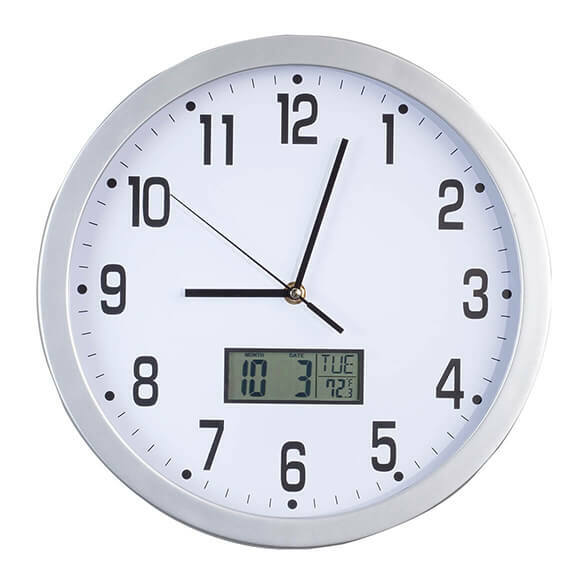 Easy-read 12" multifunctional wall clock helps you stay on time without unwanted noise. 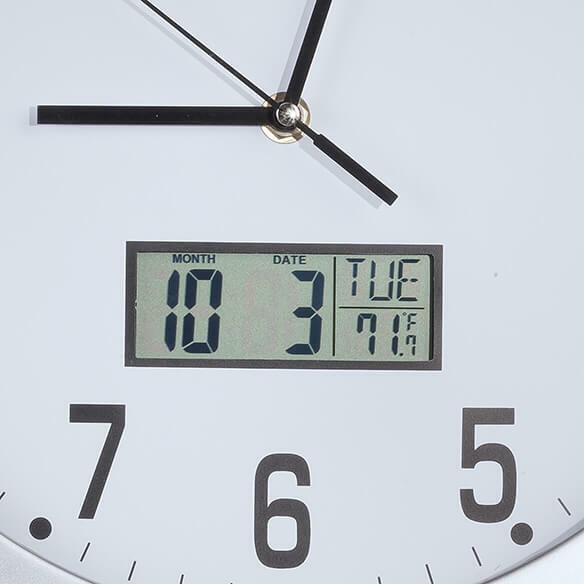 In addition to smooth, silent operation with no ticking and a large, easy-to-read face, this analogue clock features a smaller LCD that displays date, day of the week, and temperature in F° or C°. Lightweight, durable plastic with a glass lens. non-ticking wall clock requires 2 AA batteries (not included). Chose this clock because of its multifunciions. Retired and loose track of the Day of the week! 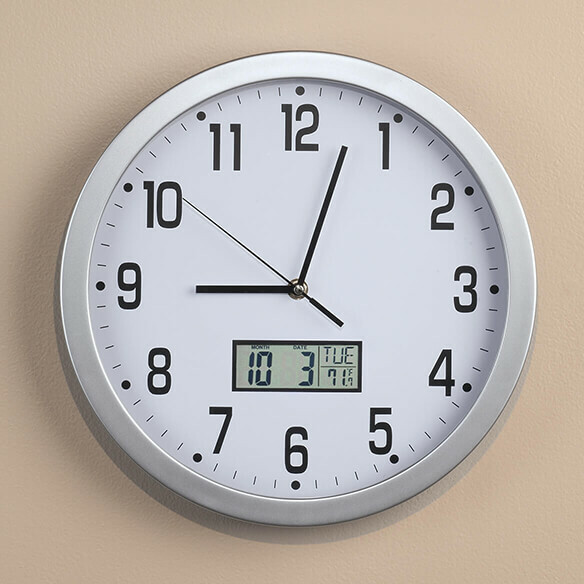 We've been looking for a simple wall clock and found it with this one. Hope it's as good as it looks. Need a highly visible clock ??? I have not been able to find a wall clock with these features. I'll be using this in my bedroom.